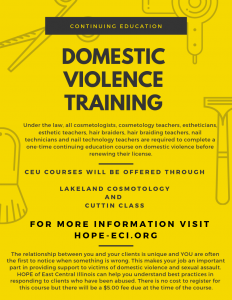 Effective January 1, 2019, a new law requires a one-hour, one-time Continuing Education (CE) course on Domestic Violence for all cosmetologists, cosmetology instructors, estheticians, esthetic instructors, hair braiders, hair braiding instructors, nail technicians and nail technology instructors. This requirement must be completed in order for a license to be renewed. The course needs to be taken one-time and will be one hour in length. Lake Land College or Cuttin Class. 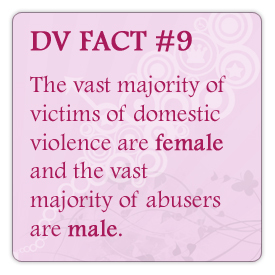 or call Cuttin Class at 217-259-4314 for more information or to register.